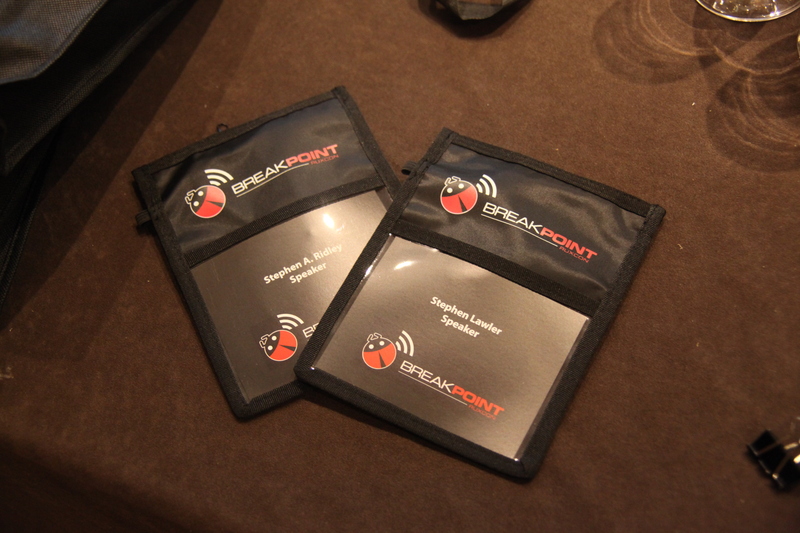 We spoke at Breakpoint 2012 in Melbourne, Australia. Whatta cool con. A researcher’s conference. It was small and highly relevant with great content. It was also a really great choice of venue (The Intercontinental). For the last decade or so I’ve used the term “rux” like people use the term “0wn”. I’ve also used the term “ruxxer” to denote people with pretty impressive skillz. I even named my big “fuzzing language” (released at PacSec 2007) Ruxxer. So it was finally cool to go to Breakpoint and Ruxcon (the con that I stole the word from and had been hearing about for years). Definitely a highlight of the trip was me stealing Thoth’s idea to ARM Wrestle (pun intended) Muscle Nerd….and losing to him….repeatedly. All the presentations that we saw were pretty great but the standout ones for us were Alex Ionescu’s (on Win8 security enhancements) and Rolf Rolles’s (which was the first time we’d seen his ReCon talk from earlier in the year). People said that our talk went well. Lawler double fisted brews (like he did at our Blackhat Press Conference and NPR Interview) so hilarity ensued. We were told our casual talk was a good way to end the conference…and a good segue into RuxCon the following days. As usual an un-annotated full photo gallery of Breakpoint is over at Smugmug. We also stayed behind to check out RuxCon and tour the countryside with some friends. Those photos are in a separate gallery over at SmugMug too…some selected photos from both of those galleries is below.